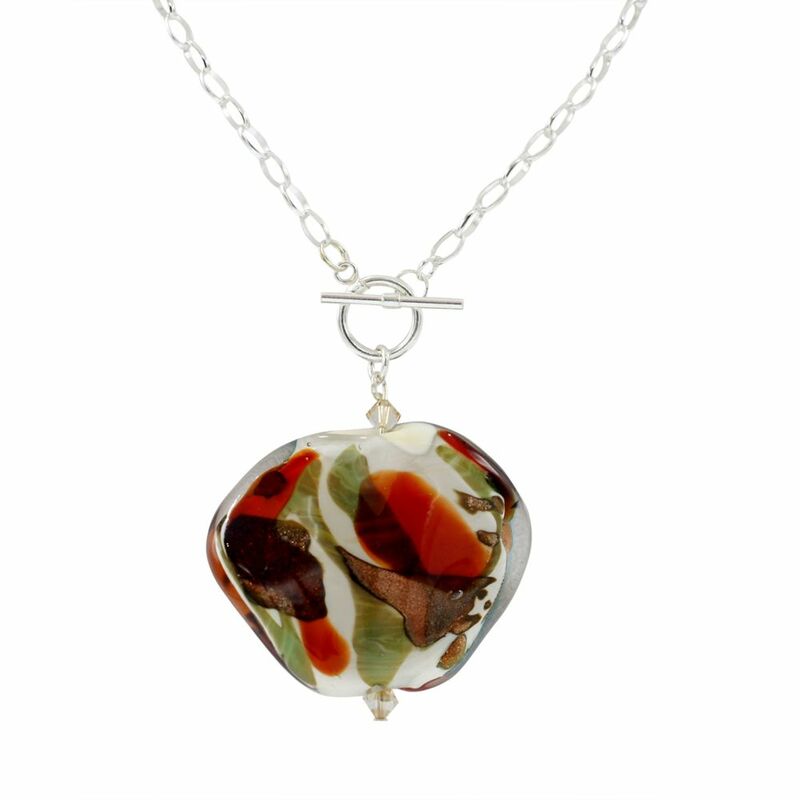 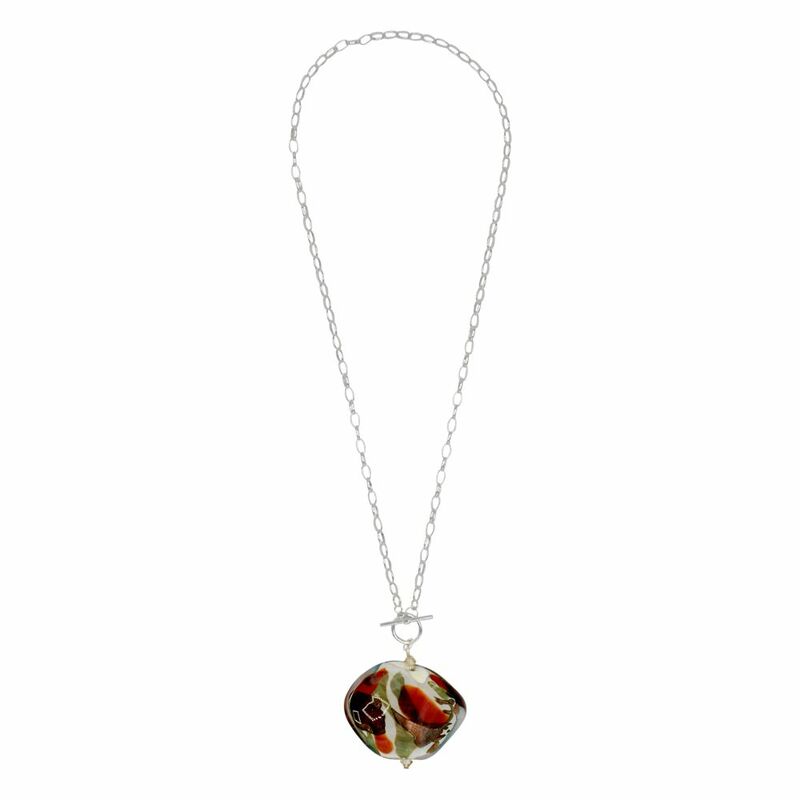 Put a true piece of art around your neck with this handmade Murano Glass toggle necklace, finished in .925 silver. The Murano petal is meticulously crafted by our master glass artisan with a torch and tongues, resulting in a unique shape and pattern. 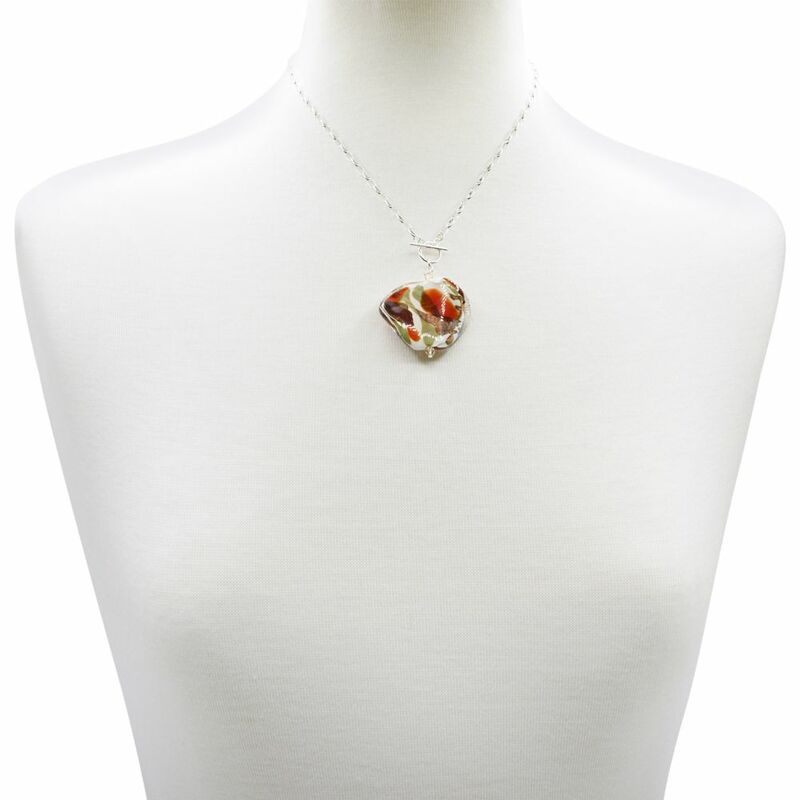 Add this piece of art to your neckline with a cocktail dress, or wear it casual, either way will look stunning.